Coconut oil is very effective against a variety of infections due to its antifungal, antiviral, and antibacterial properties. According to the Coconut Research Center, coconut oil kills viruses that cause influenza, measles, hepatitis, herpes, SARS, etc. It also kills bacteria that cause ulcers, throat infections, urinary tract infections, pneumonia, and gonorrhea, etc. Coconut oil is also effective on fungi and yeast that cause candidiasis, ringworm, athlete’s foot, thrush, diaper rash, etc. The presence of medium chain triglycerides and fatty acids helps in preventing liver diseases as they substances are easily converted into energy when they reach the liver, thus reducing work load on the liver and also preventing accumulation of fat. Coconut oil helps in preventing kidney and gall bladder diseases. It also helps in dissolving kidney stones. Coconut oil is very soothing and hence it helps in removing stress. Applying coconut oil to the head followed with a gentle massage helps in removing mental fatigue. Coconut oil helps in controlling blood sugar, and improves the secretion of insulin. It also helps in effective utilization of blood glucose, thereby preventing and treating diabetes. As mentioned earlier, coconut oil improves the ability of our body to absorb important minerals. These include calcium and magnesium which are necessary for development of bones. Thus coconut oil is very useful to women who are prone to osteoporosis after middle age. Calcium is an important element present in teeth. Since coconut oil facilitates absorption of calcium by the body, it helps in getting strong teeth. Coconut oil also stops tooth decay. It is believed that coconut oil plays an instrumental role in reducing viral susceptibility of HIV and cancer patients. Preliminary research has shown indications of the effect of coconut oil on reducing the viral load of HIV patients (Reference). Finally, coconut oil is often preferred by athletes and body builders and by those who are dieting. The reason behind this being that coconut oil contains lesser calories than other oils, its fat content is easily converted into energy and it does not lead to accumulation of fat in the heart and arteries. 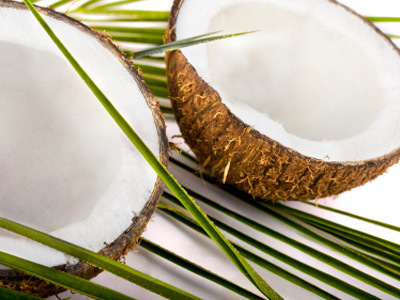 Coconut oil helps in boosting energy and endurance, and enhances the performance of athletes. There are reports of research conducted by Dr. Newport stating that coconut oil is useful for treating Alzheimer’s disease. Apart from this there is no scientific evidence or traditional knowledge or coconut oil being used for treating Alzheimer’s. 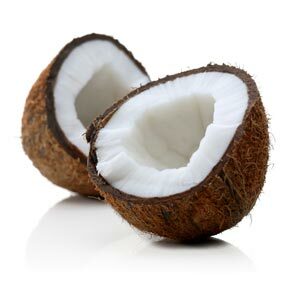 It was also not known traditionally that coconut oil helps in the brain function. Why is Coconut Oil Solid? Unlike most other oils, coconut oil has a high melting point – about 24 to 25 degress Celcius or 76-78 Farenheit. Therefore it is solid at room temperature and melts only when the temperatures go high. Hence, if you buy a bottle of coconut oil and find it solid, don’t think that there is some problem with it. Coconut oil is like this only. And of course, don’t keep it in your refrigerator. If you are using coconut oil for topical purposes, especially hair care, just melt the oil (if it is solid) by keeping the bottle in the sun or warm water. You can also take some coconut oil out and put it in a small bowl and heat the bowl over a flame (do not use microwave). Then take the oil on your palm and apply it to your hair. If you want to use it for internal consumption, simply replace butter or vegetable oils with coconut oil in your recipes. Remember, you need not switch to coconut oil completely, as you will miss the benefits of other oils and dairy products. Can I Use Coconut Oil for Cooking? Yes, in most of the tropical coastal regions, people use coconut oil for cooking. Try using coconut oil in some different recipe. That may help. If you get nauseated after eating coconut oil, don’t force yourself. As it happens with any other food item, your body may be allergic to coconut oil and it is best not to consume it. For more information on coconut oil check out our other blog post here or stop in at any of our locations! 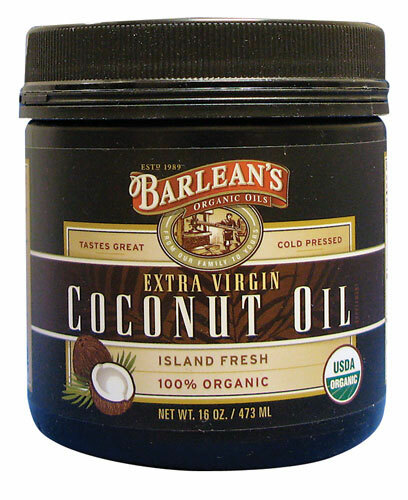 Baums carries several high quality brands of coconut oil for every purpose!